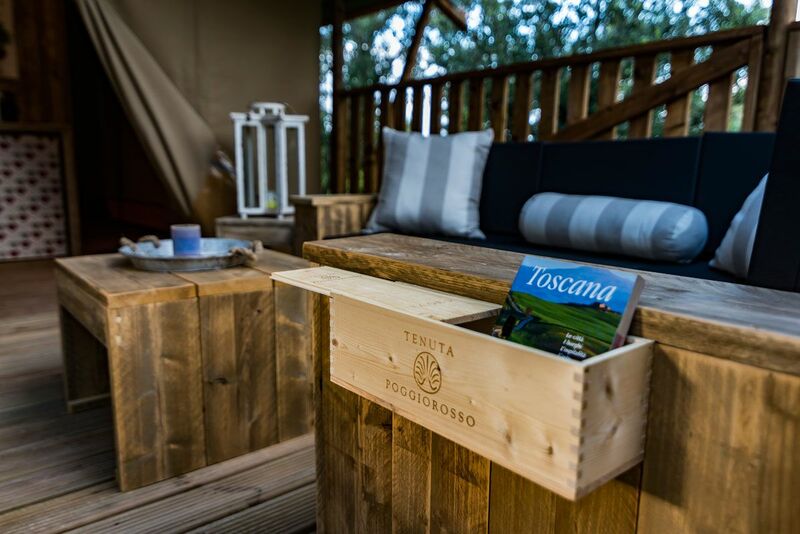 The tent-lodges of the Tenuta Poggiorosso Glamping have all the modern comforts needed to ensure a warm welcome and a wonderful experience. 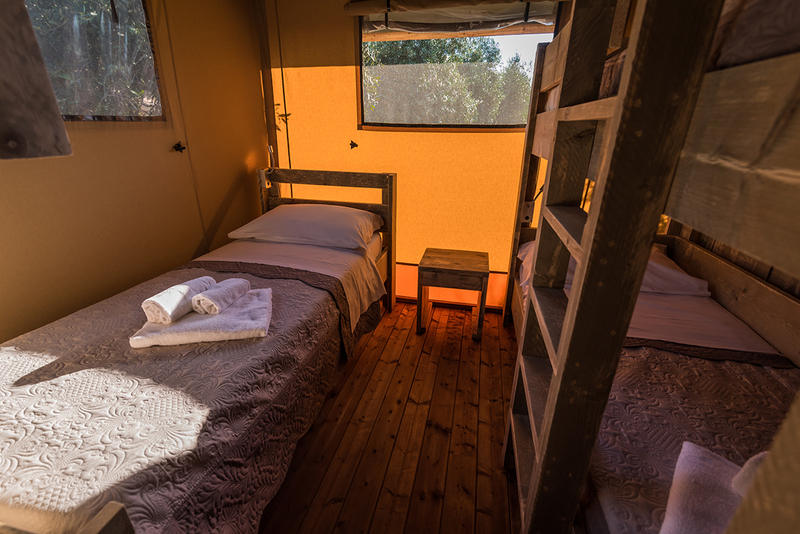 They come with private facilities, a good-sized garden, air-conditioning and heating as appropriate to the season, a 32” LED, internet Smart TV, free WiFi, and a mini safe to ensure your notebook and other precious possessions are indeed safe. 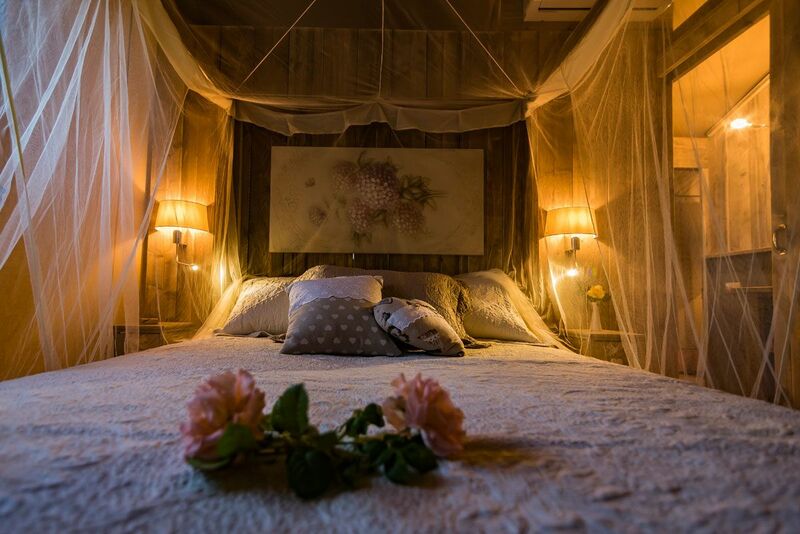 There is a telephone with connection to reception, a minibar stocked with Estate wines and of course all the bed and bathroom linen necessary. 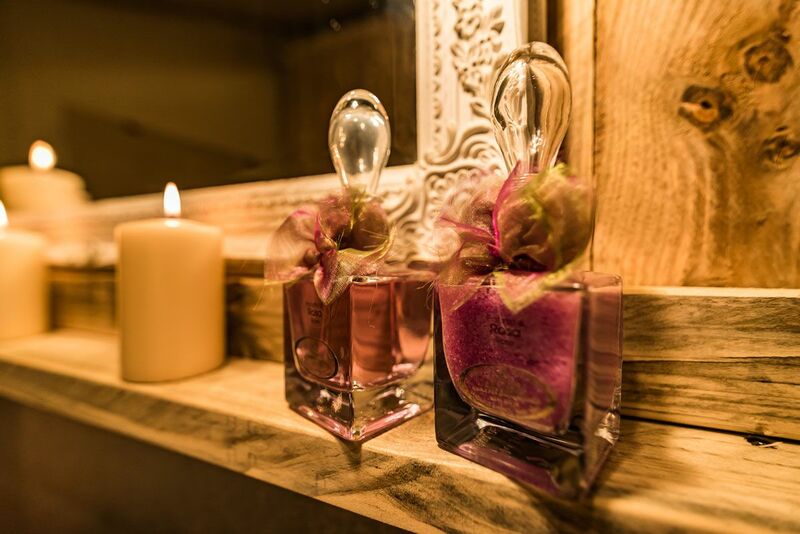 Everything you need for a comfortable stay. 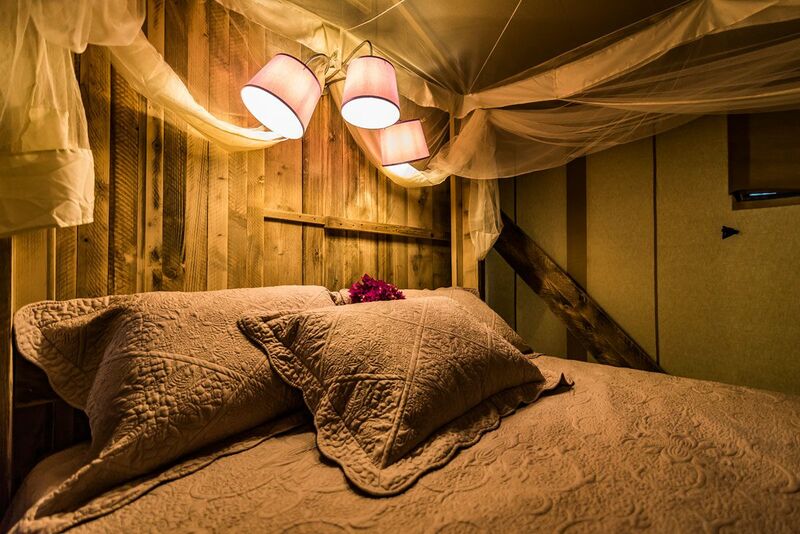 The Tenuta Poggiorosso Glamping has tent-lodges available, some at 25sqm suitable for 2, others at 35sqm for 4 and 40sqm for 5. 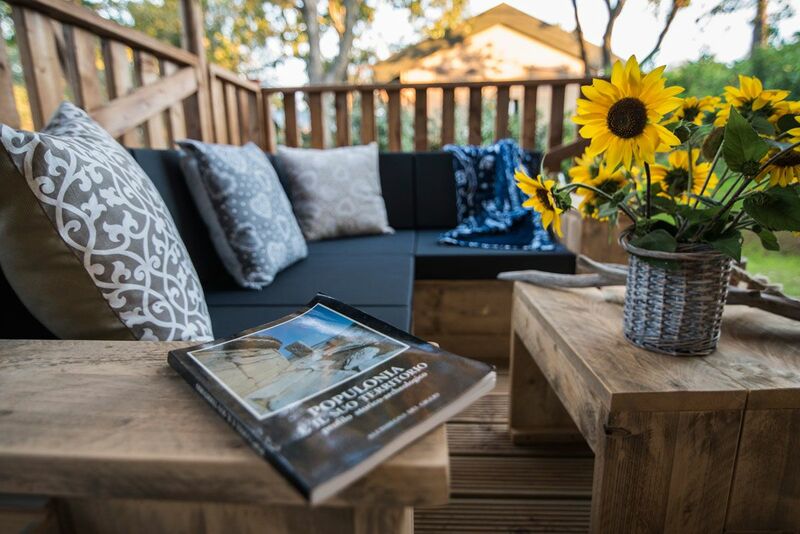 All have an outside veranda with sofa and table, ideal for enjoying breakfast or other meals outside. 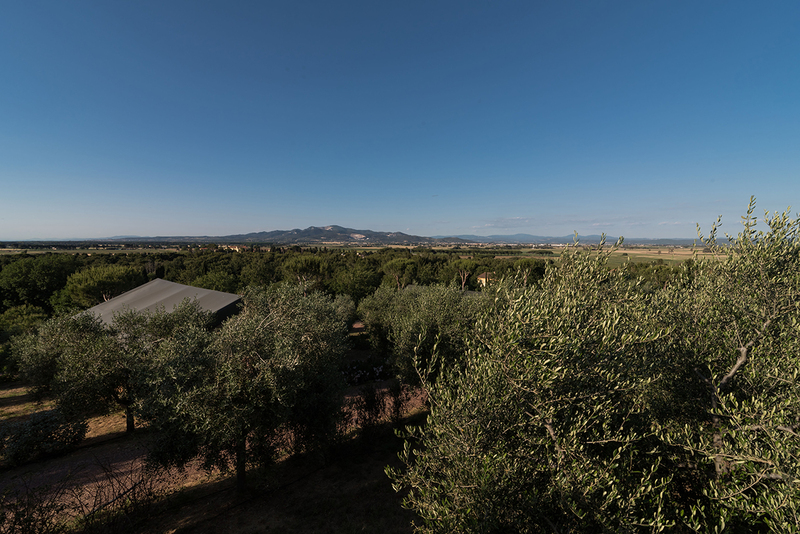 The Tenuta is easily reached by car and has a large, secure car park and a reception area with staff happy to provide information and book any of the tours and sporting activities available in the area. 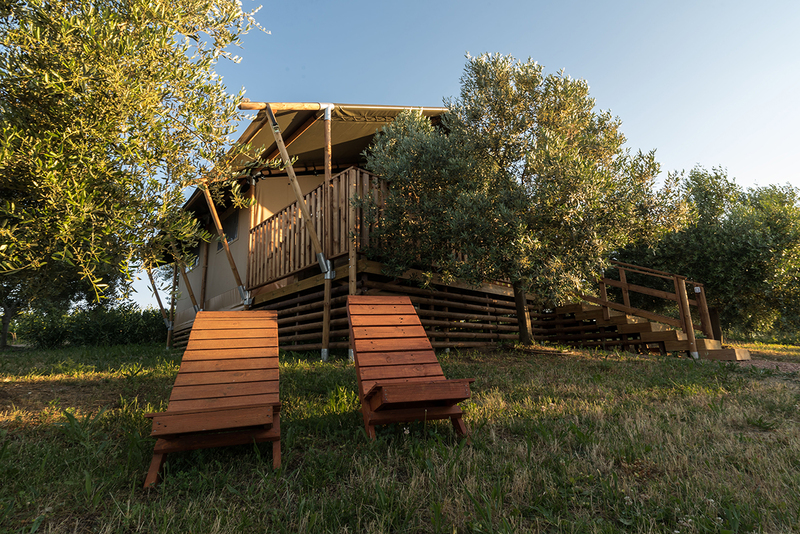 The Tenuta Poggio Rosso Glamping wants to provide disabled guest with the best service possible, so we have installed a ramp that will facilitate access to one of the new lodges that can accommodate up to 5 people. 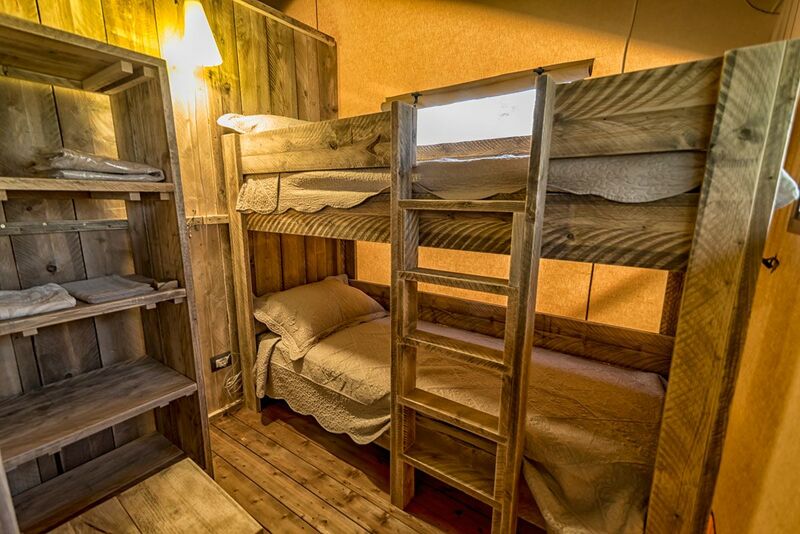 Inside, the rooms have also been arranged to make it easier to move around. The POGGIO ROSSO Estate has believed in the new concept of mobility since the get go! We are delighted to announce that we have invested in a charging infrastructure and it is undoubtedly an important step in welcoming new clients to our establishment. 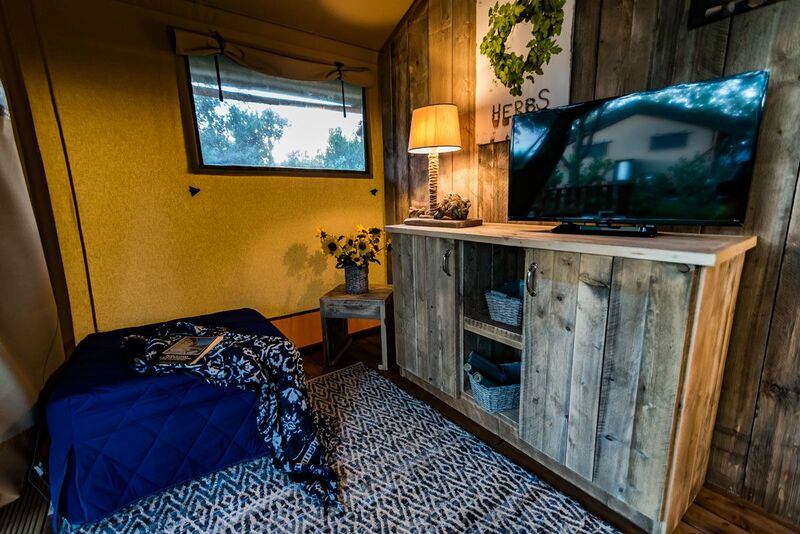 It provides concrete proof of the sustainable nature of our business and frees electric car owners of so-called range anxiety, or in other words, the fear of not being able to recharge their electric vehicle during their holidays. 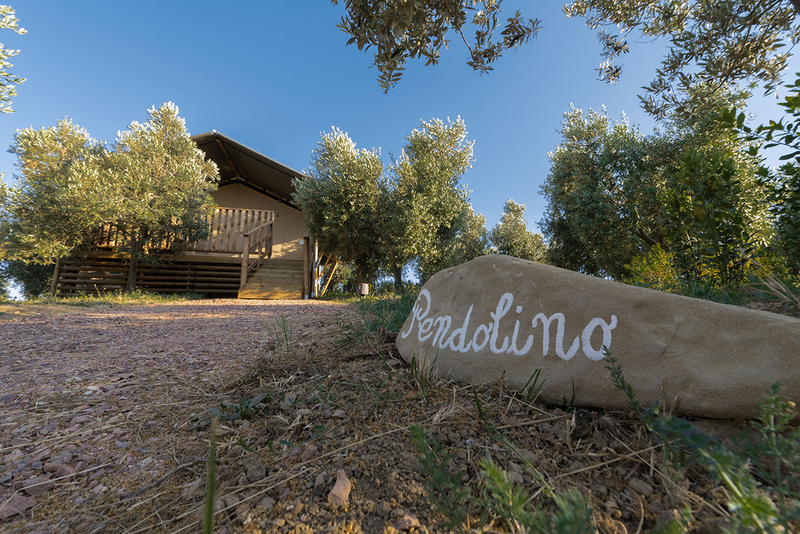 All Glamping clients can take advantage of the electric charging service provided inside the POGGIO ROSSO Estate, as can visitors to the Winery during the time they spend with us exploring our vineyards and cellars and tasting our wine. What better time to recharge their cars?! 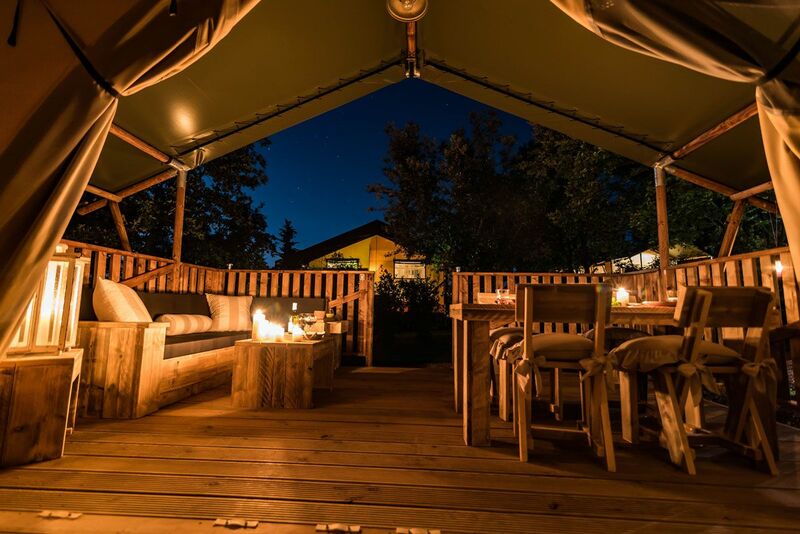 This charging service is also available to guests of other holiday accommodation structures nearby. Each charge must however be booked in advance through our reception.